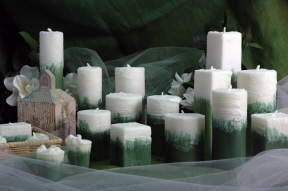 Our candles are very unique in many ways. 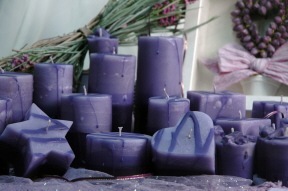 They look, feel, smell and burn better than any store brought candle. 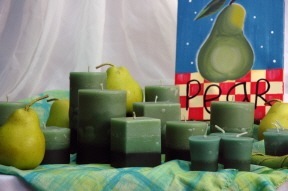 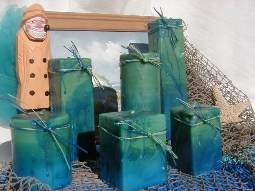 They're made from a blend of paraffin & soy wax, 100% bleached cotton wicks, liquid candle dyes and hi-grade of candle oils. 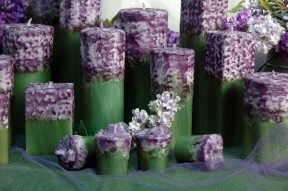 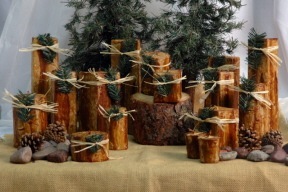 Each candle is handcrafted to ensure quality. 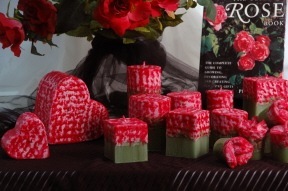 Please visit our FAQ page for more of a detailed explanation on our candles & fragrances. 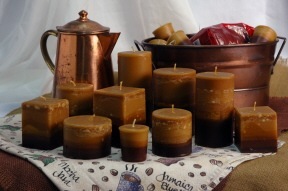 We also carry Pumpkin Brulee, Strawberry, Fresia, Cinnamon, Hot Apple Pie, Patchouli, Leather and Peppermint. 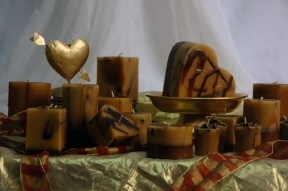 If interetsed in any of these scents, click here and let me know what you want.